I saw one of my floral paintings when I visited someone yesterday. I had forgotten about the painting and looking at it afresh was very pleasing. It was a floral like this one. 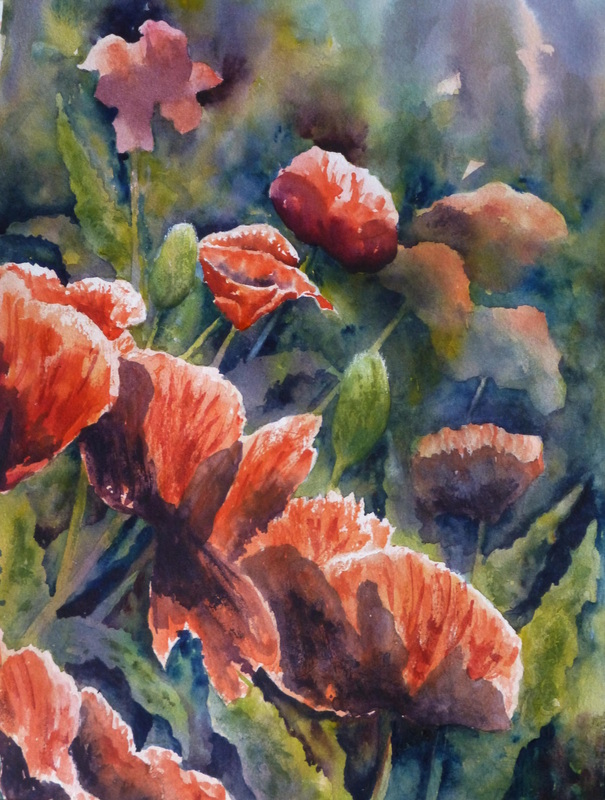 I am a sucker for light on flowers and when I saw this in my garden I had to paint it, even though this must be the fourth time I have painted poppies. I may even have a go at redoing the painting on the client’s wall, but this time a little looser.